The partnership is the first to be announced as part of Girlguiding’s biggest ever overhaul of badges and activities. 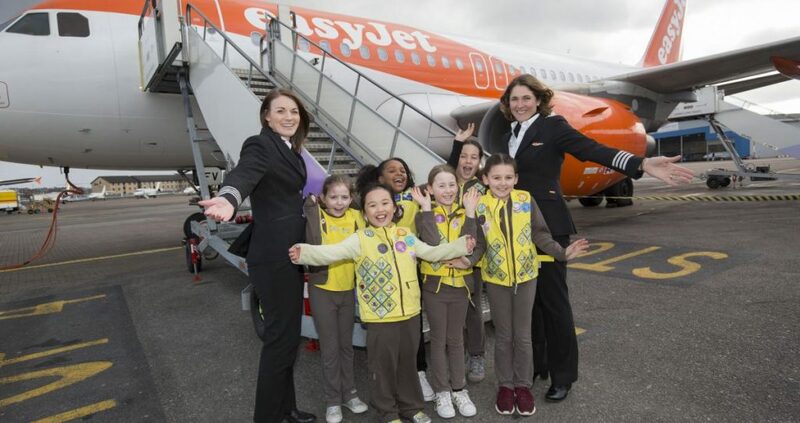 As part of this new programme, easyJet is sponsoring a new Aviation badge for Brownies. To earn the badge, girls will challenge themselves to think of 40 things that fly and put their engineering skills to the test, creating their own aircraft experiments with different building materials, structures and launch techniques. 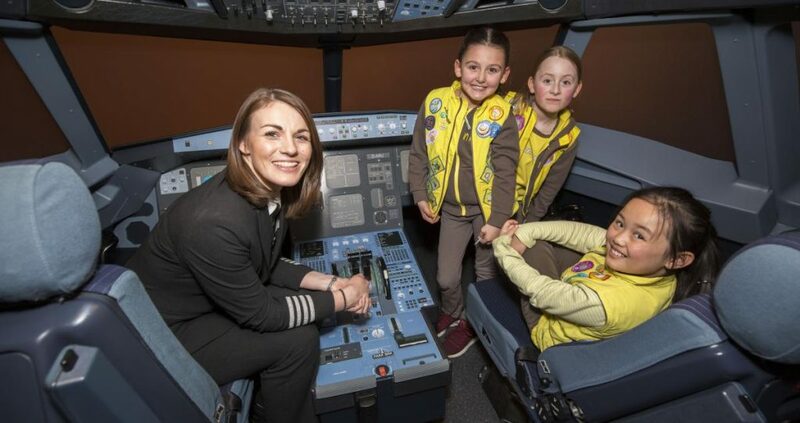 The partnership has the potential to introduce 200,000 girls aged seven to ten to aviation and it is estimated that tens of thousands of girls will undertake this badge in its first year. Becoming a pilot was named as being a dream job amongst 7-10 year old girls. 15% of 7-10 year old girls believe STEM subjects have the image of being more for boys, compared to over half (52%) of 11-21 year old girls. 76% of 7-10 year old girls feel encouraged when they see a woman doing a job they want to do. A recent easyJet survey with over 500 pilots found that over half of male pilots (55%) knew they wanted to be a pilot by the age of 10, whereas almost half (44%) of female pilots were over 16 before they considered the career. In fact, over one fifth (22%) of male pilots knew they wanted to be a pilot by the age of five. Visible role models who featured in childhood, like family members or pilots they met when travelling on holiday, were vital to inspiring young people to consider the career. Both male and female pilots surveyed agreed that the most effective outreach efforts would be to work with school teachers and youth and community leaders to spread awareness of the career. The partnership with Girlguiding will extend easyJet’s outreach work as part of its Amy Johnson Flying Initiative to a community of nearly half a million girls and young women, with the intention of matching local Girlguiding units with pilot speakers. Since launching the Initiative in 2015, easyJet pilots including many female pilots, have visited over 140 schools and colleges to raise the profile of the career. Captain Kate McWilliams, easyJet pilot and former Brownie said: “I joined the air cadets when I was 13 where I got plenty of flying experience. However it was a lot later when I imagined a career in commercial aviation as I didn’t know any commercial pilots who I could ask for advice. I never even thought it could be an option available to me. Jess Bond, lead volunteer for Girlguiding’s Programme Renewal added: “We are incredibly excited to be working with easyJet to empower the next generation of girls and young women to start a career in aviation. easyJet’s Amy Johnson Flying Initiative continues to deliver results and the airlines says that it is on target to meet its ambitions for 20% of new entrant co-pilots to be female by 2020. Last year the airline revealed that female new entrant co-pilot numbers were up by 48% on the numbers joining the previous year. This takes the proportion of easyJet new entrant female pilots to 13% at a time when newly published research by the International Society of Women Airline Pilots found that just over 4% of the world’s airline pilots are female.